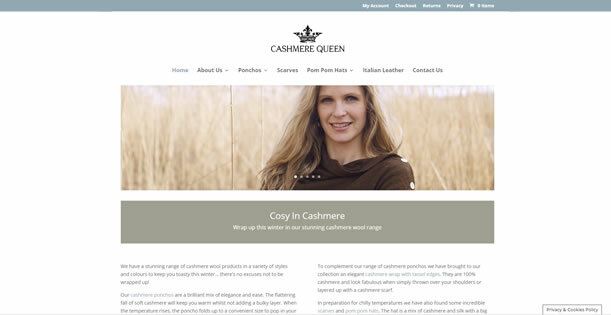 Emma at Cashmere Queen wanted a simple but elegant website showcasing and selling some lovely cosy cashmere ponchos, scarves and hats. We used an off the shelf WordPress theme and customised it to fit with her desired colour scheme and the logo she already had. We added in an online shop for her to sell the products and keep a track of what she has sold and how much stock she had left.